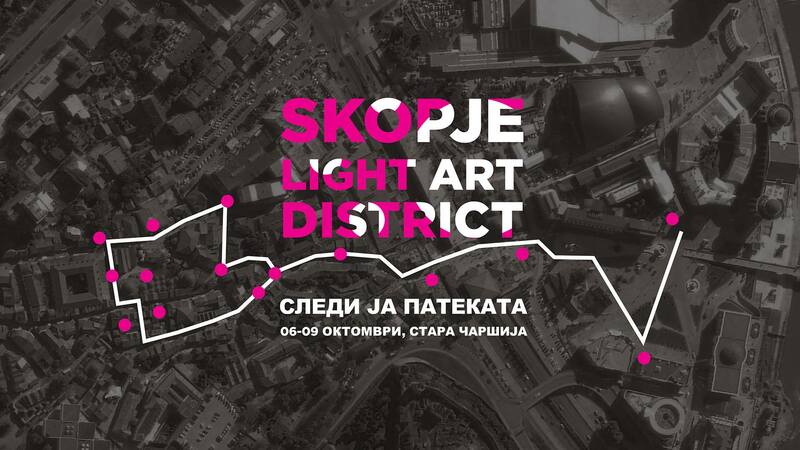 For the first time in Skopje and Macedonia, from October 6th to 9th, "Skopje Light Art District" gave citizens a unique experience with light and colors. The Skopje Light Art District festival is a kind of new cultural and social event organized within the frame of ROCK Project. The idea of ​​the festival is to bring a little light and color to the everyday life that we all live and to show us the beautiful, colorful side of life. Citizens of Skopje and the region will have a unique opportunity to be part of a new, intriguing and unusual experience. Festivals of this type are held regularly throughout Europe and the world, but the main idea for "SkopjeLight Art District" came from the Rock Project, a project of the EU's Horizon 2020 program. In this project, the City of Skopje at the cultural level is networked together with 11 other EU cities. One of these cities is Lyon in France, a city with the historically and traditionally oldest light art festival, which served as a kind of direct inspiration for the "Skopje Light Art District". 15 artists from the country and abroad performed at the festival this year, with various lighting installations, mainly placed across the Old Skopje Bazaar. It's about artists who have participated in a number of such festivals. The opening of the festival stared at 8 pm on October 6, with light projection and 3-dimensional mapping projected at the Ibni Pajko building, at the entrance to the Old Bazaar Bazaar. The motto of the festival was "Follow the path". Visitors once they arrived at the site of the projection also learned the directions of the "track" and where they would be able to see the installations during the three days. The opening ended at 23 pm, at the Museum of Contemporary Art with interactive audio visual performance.